Proudly meat free. Satisfyingly simple. Gluten free. Vegetarian Society Approved. 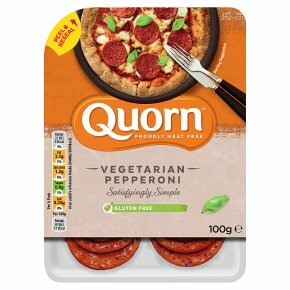 Quorn Pepperoni is great to eat hot or cold. Eat straight from the pack or spice up your favourite pizza.